This entry was posted in Biography, book review, Music, Quotes and tagged genius, glenn gould, katie hafner, music, piano, romance on three legs by alivingpencil. Bookmark the permalink. Gould was a genius. Quirky, yes. He would play the overture to Die Meistersinger and have to hum or sing the bits that were impossible to play with only two hands! His Bach recordings are amazing if not musicologically “correct”. 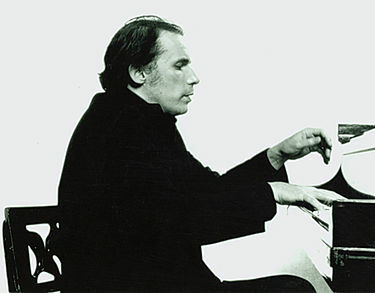 I’ve heard the name, but I knew nothing about Glenn Gould. Perhaps I should try to listen to some of his recordings. You’ve piqued my interest. If you have the time, the documentary is superb. You Tube has a plethora of videos, short and super long!